UNION SQUARE — Vegan — it's what's for dinner. At least if you're near Union Square. Peacefood Cafe, the popular uptown vegan kitchen, opened its doors at 41 E. 11th St. at University Place Friday in an area densely populated with healthy-living restaurants and yoga studios. "This is hipster central," said Peacefood Cafe co-owner Peter Lu, who launched the restaurant's second location with his partner, Eric Yu. "There's a macrobiotic restaurant two blocks down and Angelica Kitchen to the east of us, but I think we'll offer more choice." Other vegetarian restaurants around Union Square include Maoz Vegetarian, JivamuktTea Cafe, Jus, Body & Soul, One Lucky Duck, Zen Palate and the upscale vegan gourmet restaurant Pure Food and Wine, according to SuperVegan, a site for vegan eating in the city. Peacefood Cafe co-owner Eric Yu opened the restaurant's first location at 460 Amsterdam Ave. and 82nd Street. Lu and his partner found the 11th Street location in June of last year when searching for a large Downtown space. The co-owners have been operating the Peacefood Cafe's Upper West Side location, at 460 Amsterdam Ave., since it opened in June 2009. "We wanted to be below 14th Street," said Lu, who quit his interior design job last year to focus on the opening of the restaurant's second location. "All the vegan restaurants in this area are doing something completely different from each other." 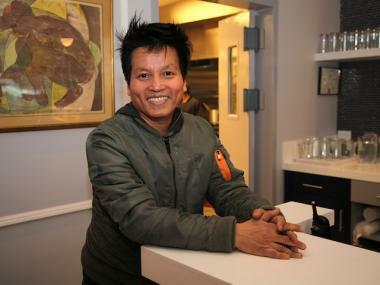 Lu said he is looking forward to Peacefood's new, larger space, after the eatery outgrew its small kitchen uptown. "There's more we can do in the space, like our custom vegan wedding cakes," Lu said. The popular cafe, which pulls customers to the Upper West Side from other neighborhoods, is well known for its pan-seared Shanghai-style dumplings ($7.95), chickpea fries ($7.95) and raw key lime pie ($7) made from coconut, cashews and avocados. 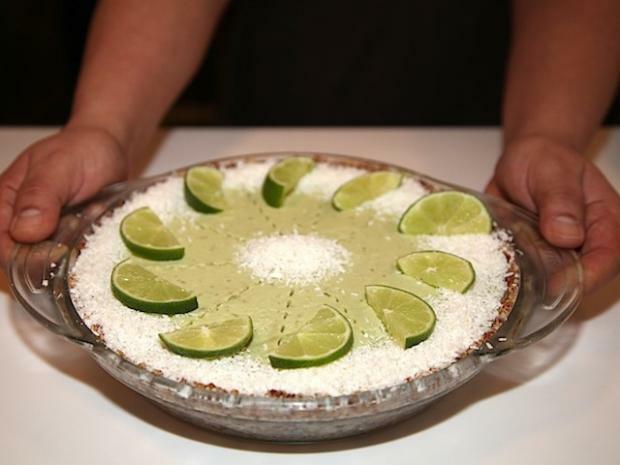 The restaurant offers a full range of baked goods, sandwiches, pizzas, panini, raw-food entrees and seasonal dishes like watermelon gazpacho during the summertime. Melissa Centoni, a 24-year-old New York University student, has checked Twitter every other day since January in anticipation of Peacefood's Downtown opening. "I've been to the Upper West Side location," said Centoni, who placed an order for a pan-seared French horn panini sandwich just an hour after the second location opened. "There's not that many cheap vegan restaurants around here, and I like the cafe vibe." Peacefood's second location is nearly double the size of the Upper West Side spot, with the same style of colorful chairs and brightly lit chandeliers dangling from the ceiling, and more space at the front dedicated to customers waiting for pick-up orders. Ken Rivera, 39, who works in an office adjacent to the 11th Street restaurant, waited in the pick-up area, seated on a bench near a window, for his order of Shanghai dumplings. "It wasn't on my radar," Rivera said. "I just saw it opened and I have a 2-year-old daughter who is sensitive to dairy, so I'm always looking for vegan cookies." Heidi Schuermann sat down at one of the tables with her date, John Reynolds, for a vegan lunch. The pair has been pilgrimaging to the Upper West Side Peacefood from Brooklyn. "This one is more convenient because we live off of the L line near the Bedford stop," Schuermann said. "I keep coming back, mainly for the chickpea fries."